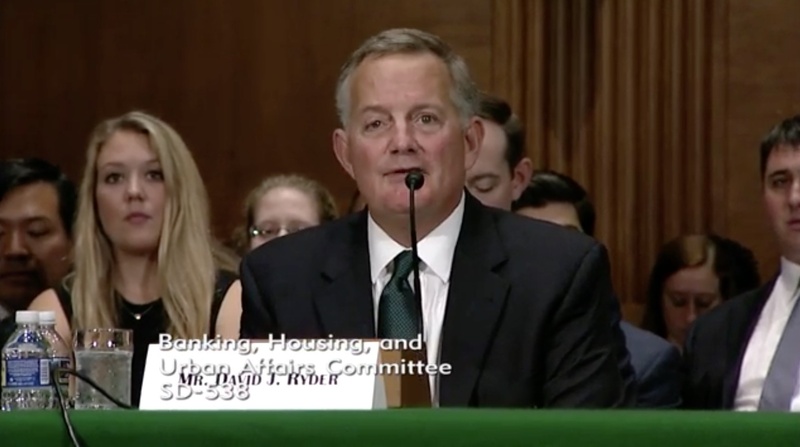 The Senate Committee on Banking, Housing, and Urban Affairs held a nomination hearing on October 24 and heard from David J. Ryder, nominated to be the 39th Director of the U.S. Mint. Interestingly, one of my last duties while at Honeywell was a joint project with The Royal Mint of the United Kingdom where we assisted them in the development of the new UK One Pound Coin, which was introduced earlier this year. This new circulating coin is considered to be the most advanced and secure coins in circulation today. It appears that Ryder should be confirmed by the Senate when the nomination is sent to the floor for a vote. When questioned by Sen. Thom Tillis (R-NC), Ryder addresses coinage security issues specifically with bullion coins and Chinese counterfeits. Addressing his awareness of these issues is good for both the U.S. Mint and the entire numismatic industry. Video of the nomination hearing and the opening statements can be found on the committee website. The video opens with a silent billboard. The hearing starts at 16:44 of the video. 48:45-51:22 Sen. Richard Shelby (R-AL) asks about an Inspector General report expanding technology at the U.S. Mint. 1:47:05-1:49:22 Sen Thom Tillis (R-NC) Question on the future of the Mint and security.